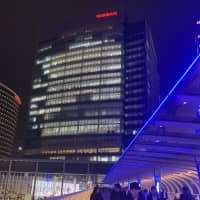 Carlos Ghosn, chairman of the alliance between Nissan Motor Co., Renault SA and Mitsubishi Motors Corp., was arrested Monday over the alleged underreporting of his income and misuse of company funds, in an unprecedented scandal that sent shock waves through one of the world’s top automaker groups. 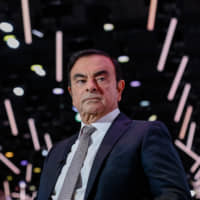 Ghosn, 64, is expected to be relieved of his post Thursday at a meeting of the company’s board of directors, Nissan CEO Hiroto Saikawa told a news conference later in the evening, adding that Ghosn’s long reign had negatively impacted the firm’s governance. 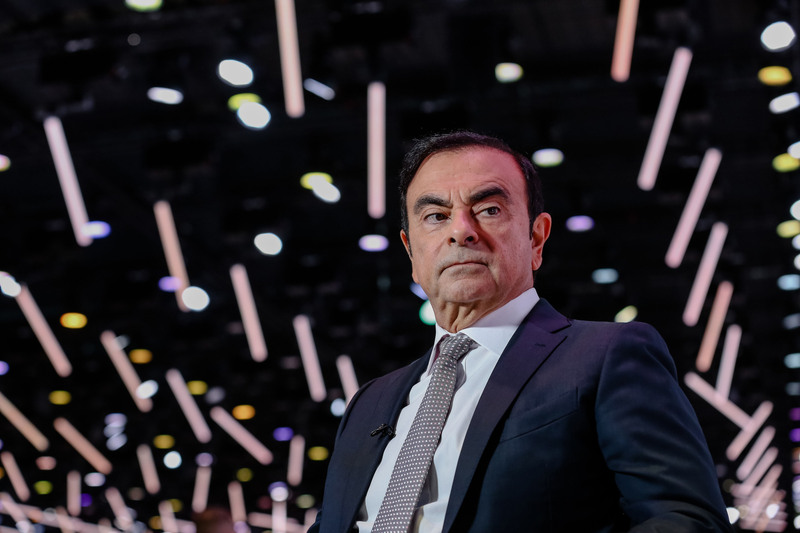 The carmaker said it had initiated an internal investigation after a report by a whistleblower revealed misconduct by Ghosn and Nissan Representative Director Greg Kelly, alleging that the two executives had conspired to underreport Ghosn’s salary for a number of years. 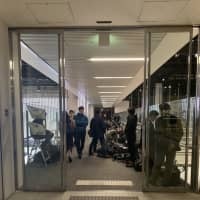 The Tokyo District Public Prosecutor’s Office had questioned Ghosn earlier in the day and arrested him and Kelly. 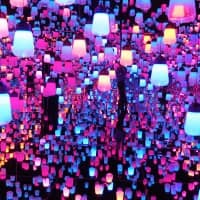 Together, the amount of their underreporting amounted to some ¥5 billion over five years between 2011 and 2015, sources said. The automaker said its investigation also exposed other wrongdoings, including using the company’s assets for personal purposes. 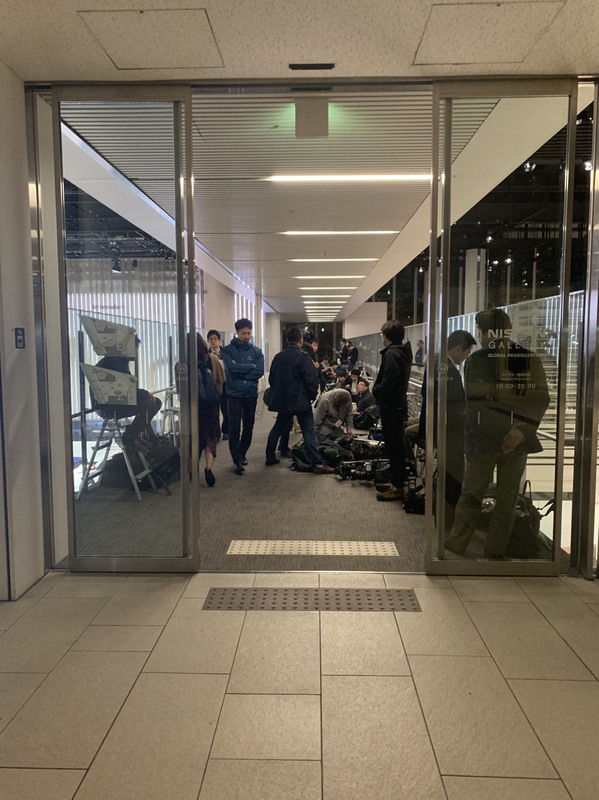 At the hastily organized news conference, which ran late into the evening, Saikawa apologized for the trouble he said had been caused by Ghosn, who has long been seen as the public face of the automaker. “We cannot go into details today, but we have confirmed that this matter is totally unacceptable as a company. 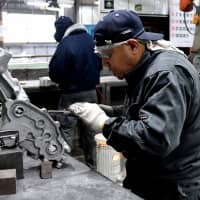 Experts have also said this misconduct is grave enough to relieve (Ghosn and Kelly) from their posts,” Saikawa said. “We are deeply sorry and regret the betrayal of trust of various related people, shareholders and suppliers who have supported us for many years because Ghosn was leading Nissan,” he said. Nissan has been providing information to prosecutors and has been cooperating fully with their investigation, Saikawa added. 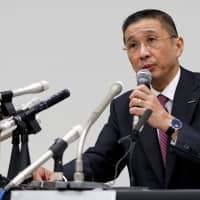 He said he will propose to Nissan’s board of directors that Ghosn be removed from his positions as chairman and representative director as well as Kelly from his position as representative director on Thursday. 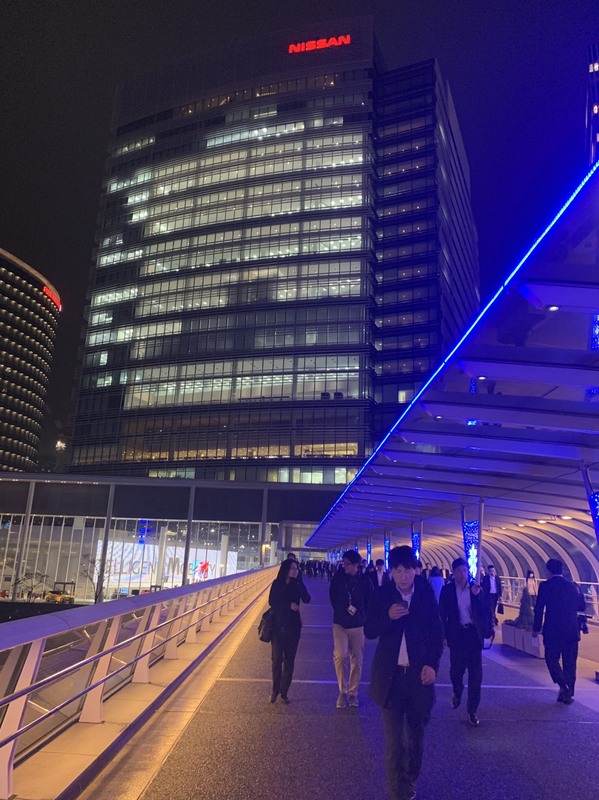 Asked why Nissan had been unable to identify Ghosn’s alleged malfeasance earlier, Saikawa said the misdeeds had “not really come to the surface,” an indication of the chairman’s grip on power and apparent to stymie transparency within the company. Still, Saikawa also praised Ghosn’s leadership, noting that it had made Nissan stronger. 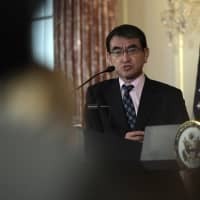 Asked about how Ghosn’s reign had collapsed as if by a “coup d’etat,” Saikawa stressed that there was no such intent behind the internal probe. “That is not my understanding and I am not explaining this case in that way,” he said. Ghosn is one of the best-paid executives among Japanese companies, a fact that has often been a target of criticism. 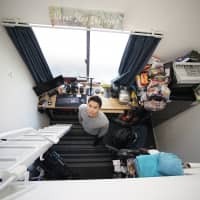 His reported salary last year fell by some 33 percent from 2016, to ¥730 million — the first time in four years that his pay had not hit at least ¥1 billion. 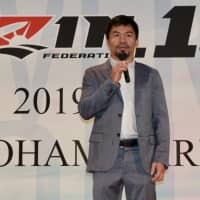 In 2016, his salary was ¥1.09 billion and in 2015 he received ¥1.07 billion. After the news broke, Renault shares took a nosedive on the European market, briefly dipping more than 10 percent compared with Friday’s closing. Beyond his role as Nissan chairman, Ghosn also chairs the alliance between Nissan, Renault and Mitsubishi Motors. 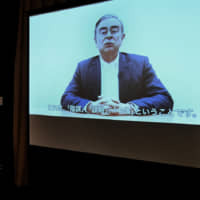 Saikawa vowed that Ghosn’s arrest would not affect the alliance, adding that board members would be closely communicating on the issue. The arrests also left the general public stunned. 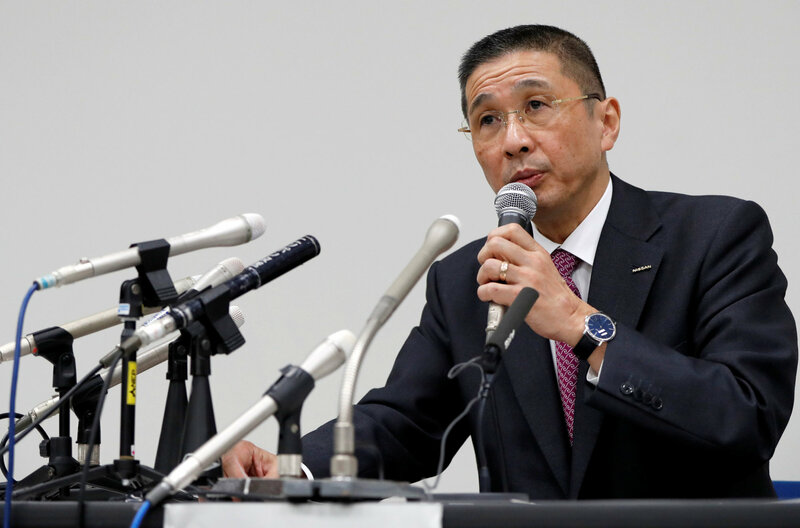 Interviewed by The Japan Times on Monday evening, Toru Takahashi, a public official from Tokyo who was testing Nissan cars at the firm’s Yokohama headquarters, voiced incredulity. Ghosn, a rare foreign top executive in Japan, is well-regarded for turning Nissan around from near bankruptcy. He came to the company in 1999 as chief operating officer to lead the carmaker’s turnaround under a capital alliance with Renault. Becoming president of Nissan in 2000, he spearheaded a recovery with plant closures and other drastic restructuring measures, shocking the Japanese business community and cementing his reputation as a cost-cutter. His management style stood out as he set numerical “commitment” targets and carried out aggressive reforms. Under his nearly two-decade tenure, Nissan moved away from conventional practices in the Japanese auto industry. For instance, it negotiated aggressively with steel-makers to lower steel sheet purchase costs, triggering fierce competition among major steel mills. In the first half of 2018, the Nissan, Renault and Mitsubishi Motors alliance became the world’s largest auto seller, outflanking major rival Volkswagen in a neck-and-neck race. The alliance sold 5.54 million vehicles worldwide in the first six months of this year, up 5 percent from the same period last year, according to data from the three companies. The figure outstripped the 5.52 million vehicles sold by the Volkswagen group, which grabbed the top spot in global sales for the second straight year in 2017. Staff writer Magdalena Osumi contributed to this report. 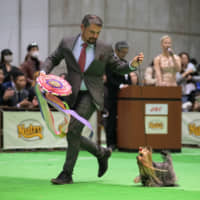 Information from Kyodo added.